LITTLE-APPLEFALLS: Christmas in the Valley! Well, this afternoon, if you'd looked through my window into the garden, you'd have thought it was a December evening! The sky was totally covered in the most humungous black cloud.....there was clashing of thunderbirds.....flashes of lightening rods....and then hailstones as big as mushrooms that fell for about 5 minutes, and then the heaviest rainstorm we've had for a loooong time....and this is still summer......hahaaaa! Definitely feels as if Autumn is close, and I'm excited by that.......just love Autumn! And, what else do I love? Any guesses?........eh?..........eh? Has to do with a gorgeous chubby man.........nope, not the Hubster.......the other one.........wears a red suit and a white beard........errr........oh, yeah, could be the Hubster......hahaaaaa! Again, not very good piccies, but I'm blamin' that thunderstorm...hahaaa! A little side-ways view.......I think I like how it turned out....what d'you think? Very pretty! I'm jealous of the Cheery Lynn die! So cute. This is gorgeous!!! I love the brown even though I'm such a red/green Christmas girl! That image is adorable and all your embellies are wonderful!!! This is gorgeous Anne-Marie. Such a lovely image and the colours and detailing you have added are all wonderful and coordinate perfectly. 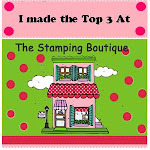 thank you for your lovely comments on my recent cards and for becoming my newest follower, I really appreciate it. I would say you are very happy with this card, it is fab. Love the green and brown colour combo and the sentiment is great too. All beautifully put together as always. Agree about the weather, had to bring Tiny (dog) to bed with us last night lots of thunder and lightening about and he does not do thunder - nope not at all. Bark, bark bark for half the night. sigh. I hope you are well & having a good week. This card is definitely giving me a warm and fuzzy feeling - it's gorgeous! It was sunny in the Lune Valley around lunch time and Met Office Weather were forecasting 20% chance of rain, so we hung the washing out and drove into Bowland a little for a short walk. On parking the car, the heavens opened, and the thunder and lightning you mention began. We waited for a quarter of an hour, scoffing our midway chocolate in the process, and then drove home to find that the rain had reached our village and our washing was absolutely dripping wet! Oh well! Wow, think everyone already covered all my thoughts! A fabulous card, stunning colours and such brilliant details. Your LOTV image is gorgeous, so lovely colouring. This is adorable. I love your colouring and the layout is awesome. Thank you for sharing with us at Creative Card Crew and good luck. Well, Blogspot quit being a bugger and allowed me entry to the blogs I follow, so I am here first off. I so, so, so (did I mention so?) like that card. Your little LOTV image is coloured to perfection, but what really caught my eye were the die cuts you’ve added – and in the homespun colour of brown – brilliant! Wow, gorgeous card. I love all the detail. 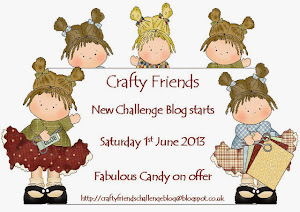 Thanks for joining our Christmas challenge over at Aud Sentiments. The warm colors on here are wonderful! Never thought about using brown and green...duh! The image is so sweet and beautifully colored and the whole card is fantastic. 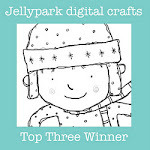 Sounds like your weather is perfect for staying inside and making more lovely cards! Such a lovely Christmas card! 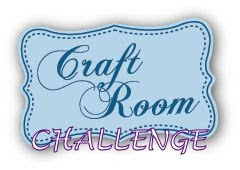 Thanks so much for joining us at the creative card crew for our challenge. Good Luck! This is just the sweetest! I love those carolers and the red holly berries are adorable. Thanks for playing along with this week' sketch! Gorgeous card, I love that sweet LOTV image and the CL holly die is lovely.